Demonstrators supporting the Indigenous Peoples' March sand in front of the Lincoln Memorial. 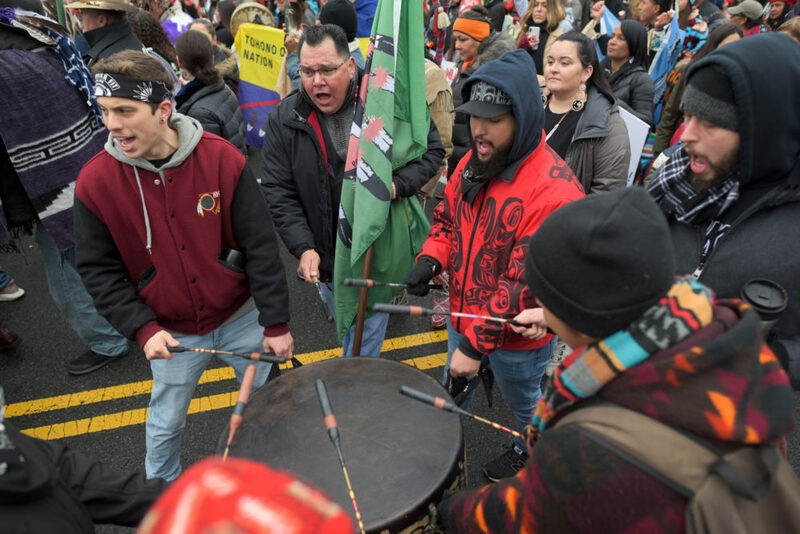 The Indigenous Peoples March, the March for Life and the Women’s March all spread out around the District this weekend. 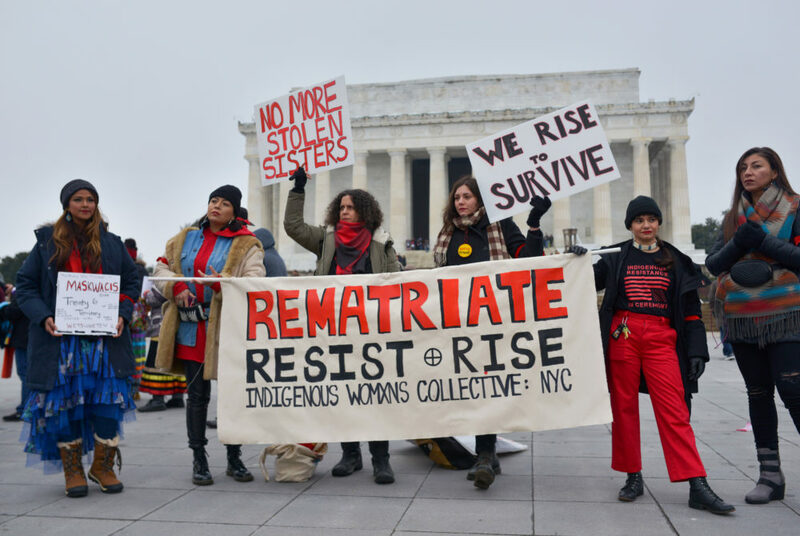 Protesters calling for rights and representation for indigenous people and abortion rights took the streets around the National Mall Friday. 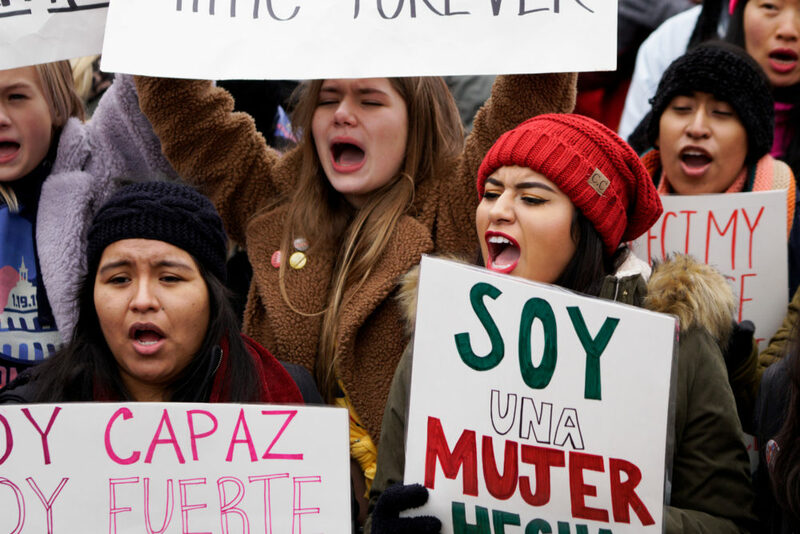 The next day, the third-annual Women’s March – with fewer attendees and high-profile speakers – took place with protesters marching to Freedom Plaza. A group of protesters bang a drum near the Lincoln Memorial during the Indigenous Peoples March on Friday. 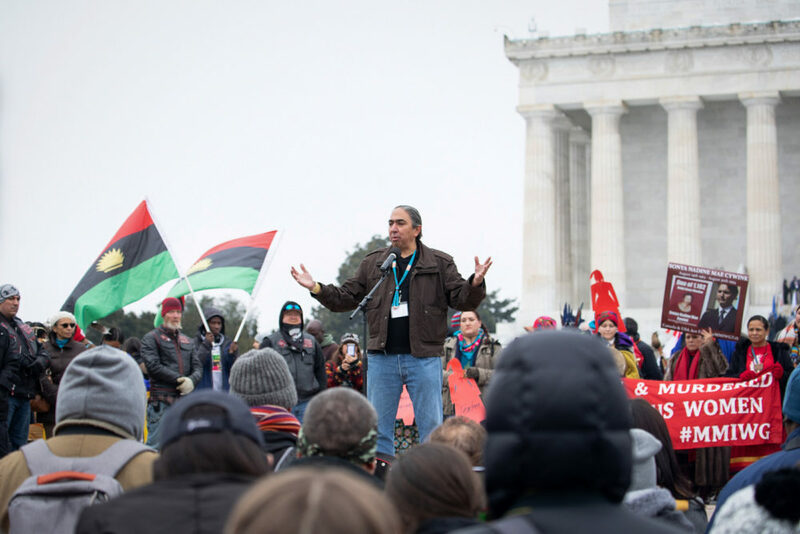 Writer Mark Charles speaks at the Indigenous Peoples March. 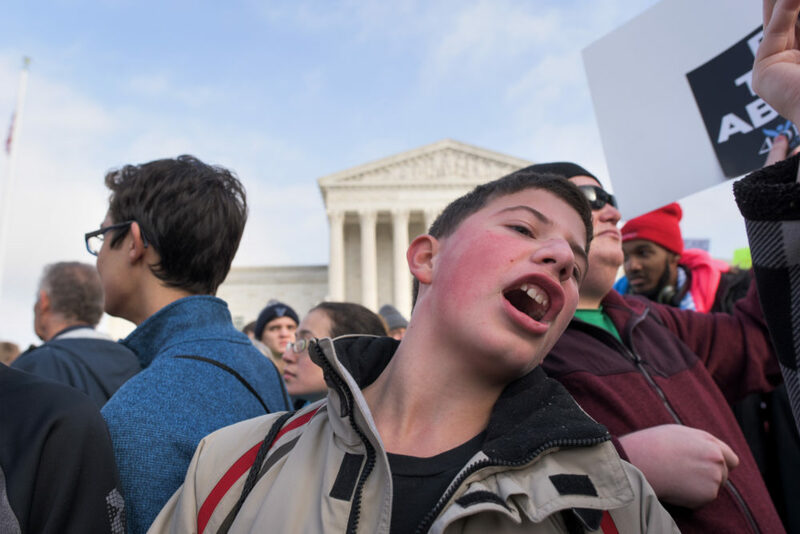 A young anti-abortion protester at the March for Life shouts in front of the Supreme Court where a small group of counterprotesters gathered. 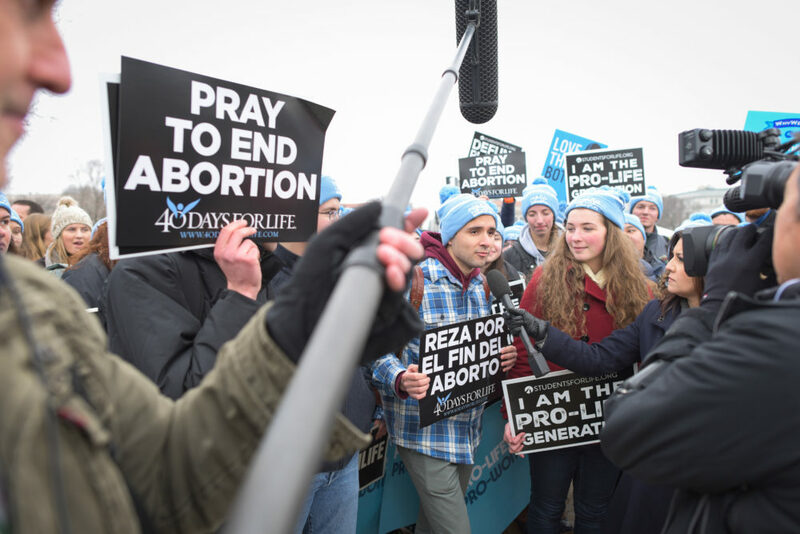 Members of 40 Days for Life, an international anti-abortion organization, speak to reporters at the March for Life. 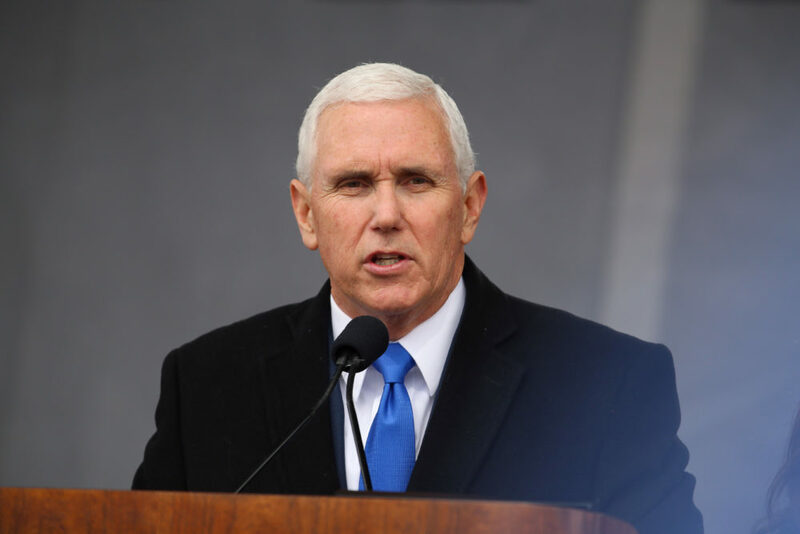 Vice President Mike Pence speaks at the March for Life before protesters march to the Supreme Court on Friday. 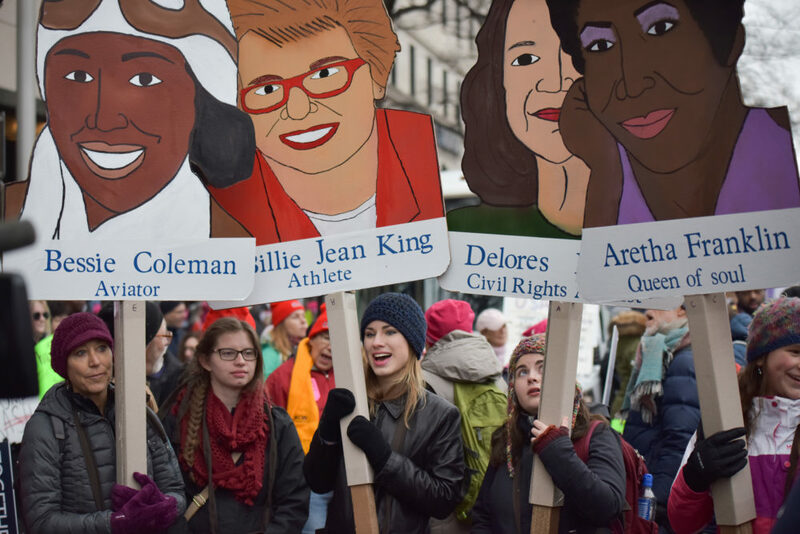 Protesters carry handmade signs depicting famous women at the Women’s March on Saturday. Protesters chant while holding signs as protesters with the Women’s March travel through the District. 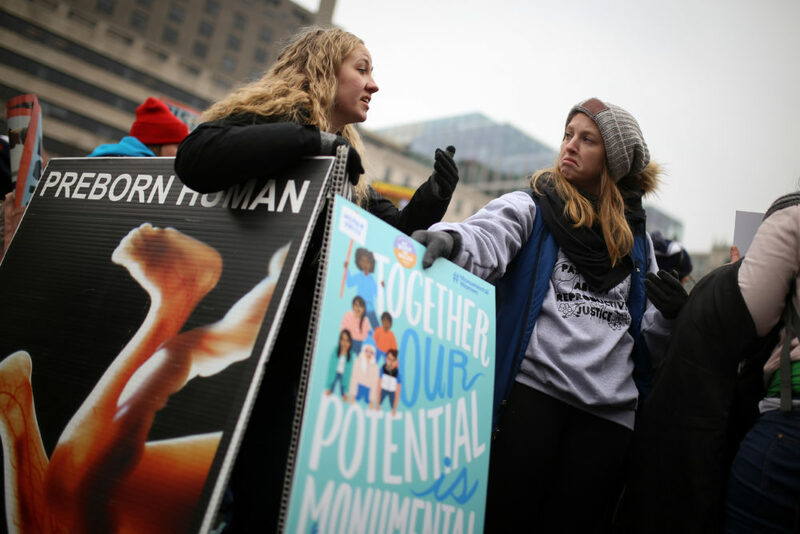 Women’s March attendee Julia Eckert faces off with an anti-abortion protester Saturday.